Something new for space travelers: fresh salad! These are the salad days of scientific research on the International Space Station. Astronauts munched on red romaine lettuce. It was the first time this happened. It took place on August 10. They had grown the lettuce in space. Three astronauts tasted the lettuce. This was after they clicked the lettuce leaves like wine glasses. They added a bit of Italian balsamic vinegar. They also tossed in some extra-virgin olive oil. Astronaut Kjell Lindgren said it was awesome. And Scott Kelly said it was like arugula. They talked about how the veggies added color to life in space. 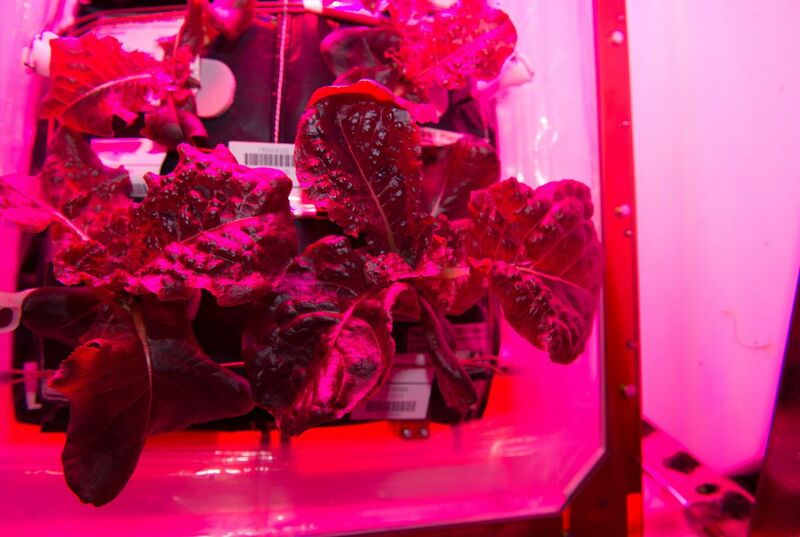 Astronauts will need to grow their own food. That is if they want to go farther in space. This was an experiment to test that. Astronauts grew space station lettuce last year. But they had to ship it back to Earth. It had to be tested. They didn't get to taste it. Are summer jobs a thing of the past? 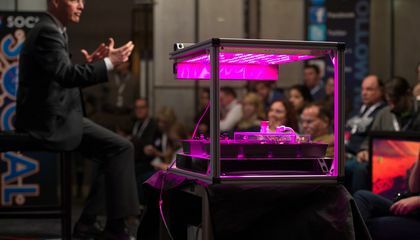 Why is it difficult to grow vegetables in space? Wow! I never knew that you can grow lettuce in space. I thought you can grow nothing in space. But now that I read this article you could grow stuff. I wish I could have tasted it. And also the color is amazing. It is sort of pinkish purple. Maybe next time I should go to space and do that Maybe it would be delicious. Lettuce is grown in space? Crazy. It seem like nothing is impossible in these day. It is difficult to grow vegetables in space because it doesn't have atmosphere including oxygen and carbon dioxide. Vegetables need oxygen and carbon dioxide. it is really hard to grow in space because they don't have any soil,water and air.And aslo need some sunlight for plants. So ,can't grow it! Growing vegetables in space is impossible. The living of vegetables depends on the environment. In space, the lack of healthy environment makes them die. As they can be grown in natural environment, it is difficult to grow vegetables in space. Three is no carbon dioxide and water in the space. The taste is so bad because of no minerals in the space. In space, there're no water, oxygen and carbon-dioxide. Also for the photosynthesis, it needs sunlight to finish that process. In that ways vegetables can be grown very well. But here, astronauts grew lettuce in space. That's amazing! I've never heard of it. It is difficult to grow vegetables in space because there is no air and water in space. Plants need oxygen,carbon dioxide and water to plant. That's why it is difficult to grow vegetables in space. It is hard to grow vegetable because of environment.Impossible things can happen in nowadays.